Curatorial strategies and the domestic surrealism of house museums. 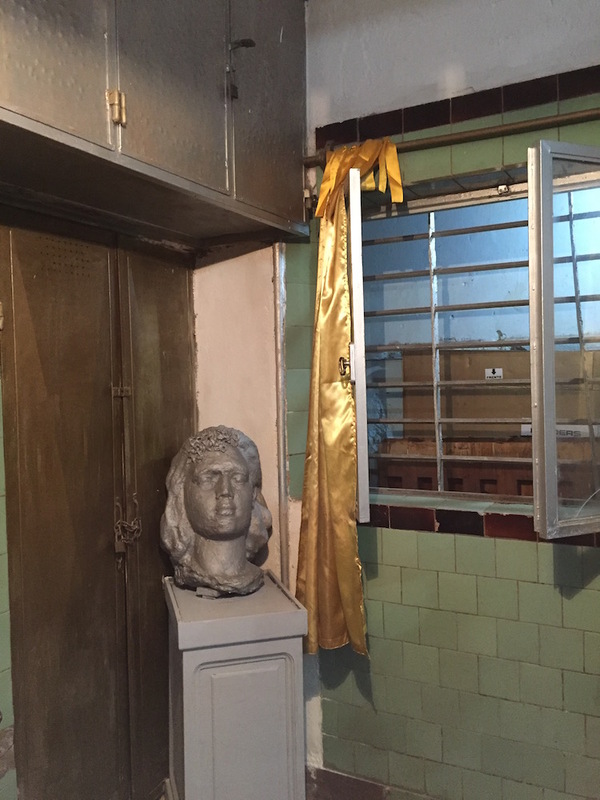 Museo de la Revolución, La Habana, Cuba. Photo: Santiago Villanueva. Delfna Foundation: As a resident at Delfina, in partnership with Tate, your role has been that of curator rather than an artist. Can you explain then how you got into curating and how you see it relating to your artistic practice? Santiago Villanueva: At first, I approached curating as a way of inviting other artists and collaborating with them on specific projects, be it exhibitions, publications, etc., but also to incorporate new methodologies in to my practice. I think the most important difference between the artist and the curator lies in their respective methods. However, I’m aware that this train of thought could easily erase both positions and their definitions. At the same time, given that curatorial practice in Argentina has always been linked to artists’ initiatives, we struggle with identity issues when discerning which role we embody. It is easy there for artists to write exhibition catalogs, to open art spaces, even to work at museums without the need to define what position you are fulfilling. In my practice, the institution I’m working for determines whether I am working as a curator or as an artist. The common sense definition of these roles is that the artist is capricious while the curator is responsible, but I believe caprice and responsibility are qualities intrinsic to both kinds of practitioners. The distinction I draw between these roles is that the curator relies on editing and focus, while the artist depends on forms of parallel thinking. DF: Before we discuss your research into private spaces and museums, do you mind telling us briefly what your work in the Tate Latin America collection consists of? SV: Over the last four months I’ve been working in the curatorial department of Tate Modern along with Michael Wellen, Inti Guerrero and Sarah Cullen. We focused on reshaping how the work of several of the artists included in the Latin American collection is exhibited. Besides taking part in the day-to-day tasks of the museum, learning how its different departments function, etc, we focused on two projects. The first was an in-depth analysis of one of the rooms which is now on display, titled A view from Sao Paulo. This space presents parts of the collection dedicated to Brazilian abstraction, in connection with the emergence of the Sao Paulo Biennial, which was inaugurated in 1951. Basically, I rethought the display, adding several new items (including archive materials, etc.) and created a public program for that specific room. The second project we focused on was organising a meeting for museum staff and artists to take place in Buenos Aires around the end of May 2018, which sought to promoting a dialogue between curators, museum directors, and artists, and encouraging an approach to sharing and working with public collections that transcends the usual display solutions. 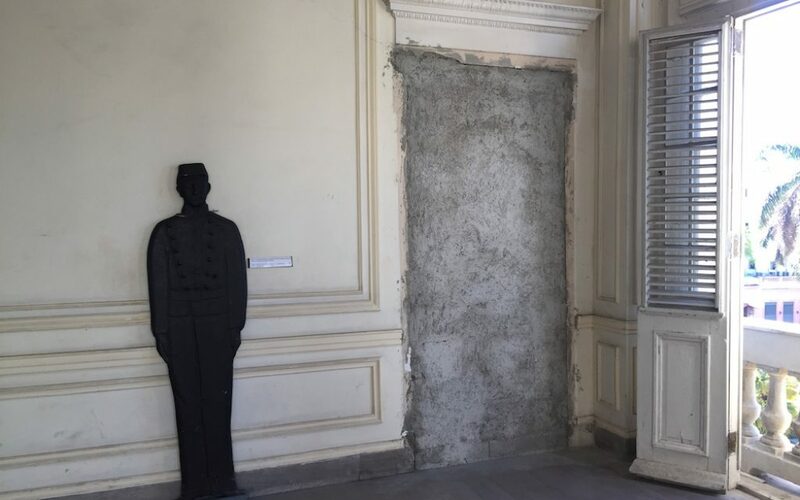 DF: During your residency, alongside the aforementioned projects, you have also been researching the transformation of previously private spaces in to museums. How did your interest in this field arise? SV: I’ve always been interested in museums that escape the common definition of a museum and that challenge, nonchalantly in some cases, even the most insignificant rules – such as how to install and exhibit pieces. Specifically, I’ve been always devoted to museums which are outside the contemporary art circuit. These abnormal institutions look inward and wander blindly, like zombies in to the realm of museums. These museums tend to respond to local interests rather than targeting global tourism, and are sometimes consecrated to the practice of a single artist. In them you can see many simple decisions that lie in contrast to the neutrality and purity in which we usually see art displayed. These spaces can function as a sort of encyclopedia for curators. Museo Iramáin, San Miguel de Tucumán, Tucumán, Argentina. Photo Santiago Villanueva. DF: Could you talk a little about some of the places you have been in London then and what you discovered. 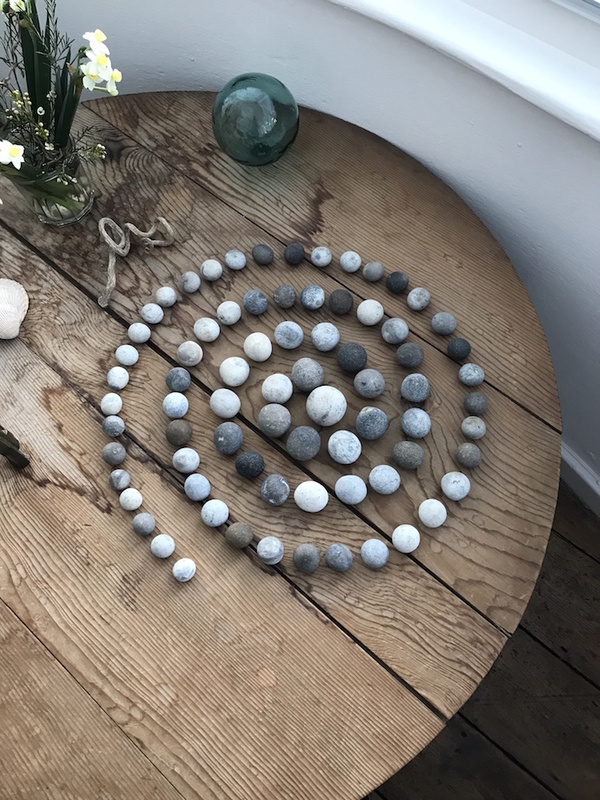 SV: During my stay at Delfina, and in parallel with my work at Tate, I visited several spaces that helped me think in this direction. Some of them are well-known, some not, but all of them construct a very particular relationship to objects, between mise-en-scene and museography. They work with the presence of someone who is no longer there. In these spaces we find objects which have an action in potentia, shown the way they were, or should be, used. Among the spaces I visited in London are, the Old Operating Theatre Museum and Herb Garret, Leighton House Museum, Freud Museum, Sir John Soane’s Museum, and the Wellcome Collection. I also made trips to see the Pitt Rivers Museum in Oxford and Kettle´s Yard in Cambridge. It would take too long to describe the specificity of each of these places. Essentially, I what I witnessed in my visits were the decisions made in relation to each object. This choice begins with the transformation of the status of each item from private to public. For example, you could find a pincone or a flower placed on a chair to deter visitors from sitting on it, a typewriter put against a wall, objects glued to a table so they cannot be lifted, and books rearranged on their shelves. I’d like to focus in on two different scenes that provide interesting cases. The first is in the Freud Museum in London, a house that was once the home of the founder of psychoanalysis. 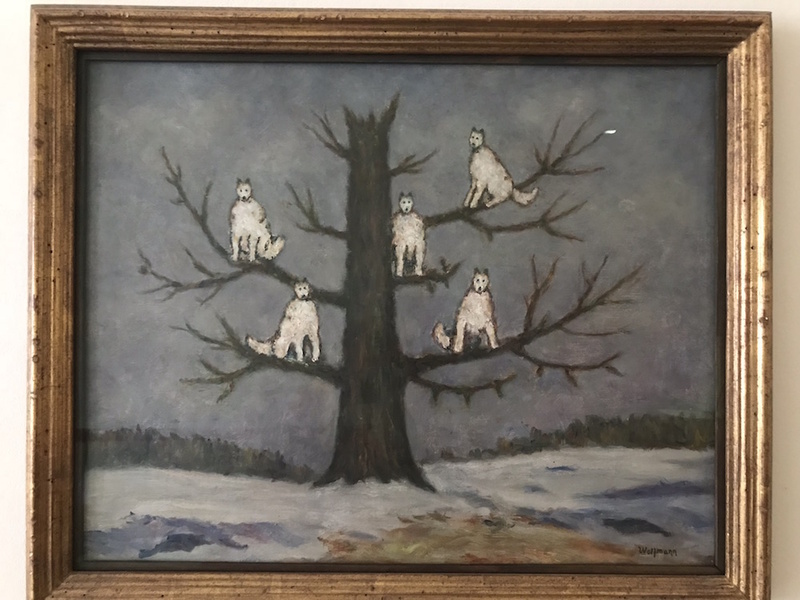 In it hangs a painting by Sergei Pankejeff, who became one of Freud’s most famous clients after Freud published his case history in 1918 under the pseudonym ‘Wolf Man’. The painting, composed by Pankejeff later in 1964, was a gift made to the museum in 2001, and serves to introduce the viewer to an intimate experience in a domestic environment. Wolf Man, Sergei Pankejeff, 1964, Freud Museum, London, UK. Photo Santiago Villanueva. The second case is found in Kettle’s Yard, the house of Jim Ede, one of the first curators who worked at Tate, and his wife Helen. It is interesting to think about a domestic curatorial practice. Ede displayed objects such as feathers and stones alongside the paintings that had received as gifts from artists. Today the house preserves the mise-en-scene exactly, and the relationship between the spontaneity of a home and the prohibition of moving any object results in a tension that is impossible to resolve, producing a somewhat peculiar atmosphere. Kettle´s Yard, Cambridge, UK. Photo Santiago Villanueva. DF: Do you think there is something specific to London/UK in this area of house-museums, if so what, and how does this differ or relate to the context of your home city of Buenos Aires? SV: I perceive a trait common to most of London’s museums: their obsession with domesticity. A narrative is created for those who made a “contribution” to culture or science. These individuals are offered an intimate space in which stories, objects, and works are woven together, within which the work of art is lodged. The latter is merely a final instance, almost negligible, in relationship to the day-to-day details of its creator’s life. This obsession is presented as a matter for the State. However, focusing in on these personal stories can be a distracting way to narrate history and positions the viewer in a voyeuristic role. The person visiting the space cannot be restrained from imagining what it would be like to live in the house. Thus, the viewer’s personal life and that of the celebrated person overlap. In Buenos Aires, this type of house-museum is usually a run-down, almost derelict institution. However, there are still some decisions involved in turning a particular house into a museum which is an interesting feat for a curator. 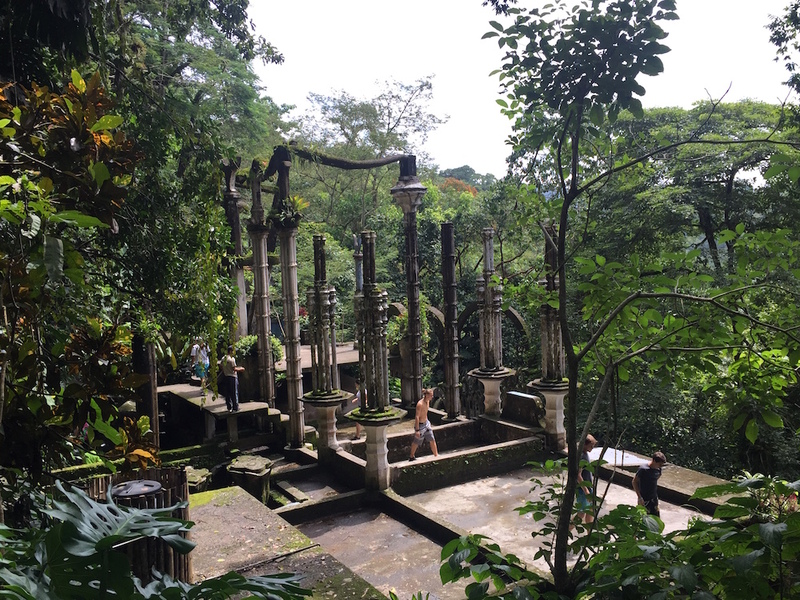 Interesting regional examples of this in would include, the Museo Iramaín in Tucumán, Argentina; the Museo de la Revolución in La Habana, Cuba; and the Jardín Surrealista created by Edward James in Xilitla, Mexico. El Jardín Surrealista, Xílitla, México. Photo Santiago Villanueva. DF: What do you see as the development of this research now and is there a specific public outcome or end goal you are working towards? SV: At this point I’m only at the stage of having visited and collected material about these spaces in different contexts and cities. There are several potential public manifestations for the research, which I will continue to develop as long as I keep finding new models and examples. The first of these outcomes will be an issue about ‘domestic curatorship’ for Mancilla magazine, a printed publication based on Buenos Aires of which I am part of the editorial collective. We have invited artists and curators to contribute short texts on the implications of domesticity in curating with the aim to redefining, locally, the limits of curating. A second instance will be a solo exhibition I will do at Galería Isla Flotante, also in Buenos Aires, where I will mount a catalog of curatorial decisions I have observed in house museums, thinking about the formal transformations of those objects and how that constructs a kind of surrealism. The show is to be titled, People only inhabit their own biographies as they inhabit their homes. Santiago Villanueva was in residence at Delfina Foundation from 01/02/18-13/05/18, in partnership with Tate and supported by the Rutherford Fund.